Days are quickly turning into night, it’s the changing of the seasons and the time of year when your drink of choice is of the warming kind. 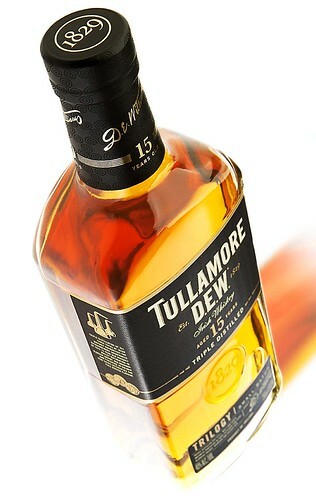 Whiskey is the preferred tipple so let’s get another one into the drinks cabinet of the discerning gent as Elysium Magazine adds Tullamore D.E.W. Trilogy. Why is it called Trilogy? Are there two more in the series that needs to be brought to your attention? Well, yes and no. Let’s address the latter, no because there aren’t two more in the series which have been missed. Yes because this is a trilogy of wood ageing and a triple distilled blend of Irish whiskeys. Keeping the theme of three, the Trilogy whiskey is inspired by the wisdom of three generations of the Williams family – who honed the three crafts of distillation, blending and maturation. This rule of three plays out as the triple distilled, triple blended whiskey spends time in ex-Bourbon casks, followed by ex-Oloroso Sherry casks before its finished off in Rum casks. What about the final product? This 15-year-old blend has a nose that is full of rich spice and nutty oakiness. The body is creamy and full. The palate is complex as this full-bodied whiskey unravels with fruit, nuts and creamy fudge on the tongue on a long finish. For more information visit: Tullamore D.E.W.